LMT Artistry is owned and run by Emily Barnard. Emily initially began her career as a self-taught hair and makeup artist back in the mid 2012. In January of 2013, Emily rebranded from running her hair and makeup business from her alter-ego to the business that it is today, still paying homage to her original alter-ego through the choice of the initials LMT. 2014 saw Emily participate in various courses to upskill and hone her skills, training through SC Artistry in Airbrushing, also touching on body art and refining her makeup techniques. Emily has also done extensive hair training courses to up skill in hair techniques, ensuring that she can design hair styles to her clients needs whilst also remaining on trend to what is coming through in runway fashion. Emily regularly attends refresher classes to ensure that she is up to date with industry standards. 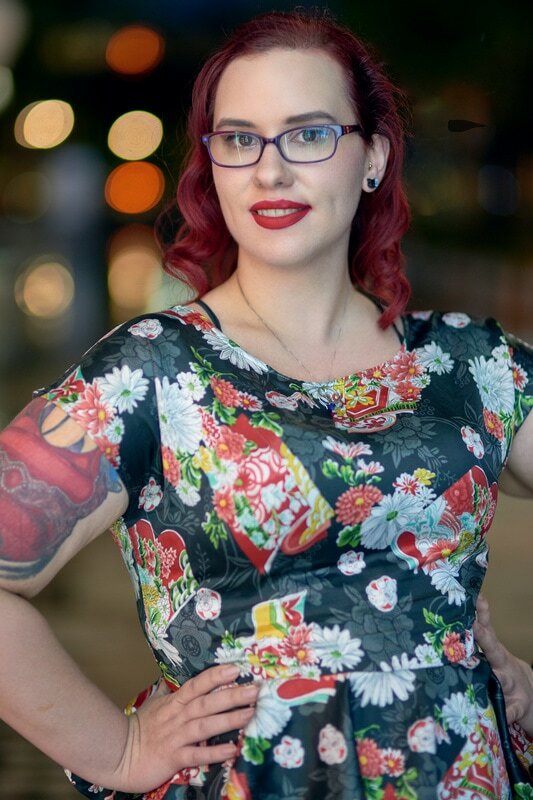 Since the beginning of LMT Artistry, Emily has enjoyed a number of National and International publications, including the likes of Junkies Magazine Australia - Issue 7 with work on the Cover as well as a short editorial for Koi Girl, Nerd Girl Magazine, Femme Fatale Magazine, Bombshell Magazine, Cosculture Magazine, Like A Lion Magazine and Elegant Ink Magazine to name a few. Emily also made the top 10 in the first annual Perth Hair and Makeup Artist Awards in the Beauty and Ready to Wear Hair category, as well as the top 10 in thee second annual Perth Hair and Makeup Artist Awards in the Festival Makeup Category.